The R&D Tax Incentive program opens for applicants from Tuesday 1st of July 2014 and will close on Thursday the 30th of April 2015. Companies who have spent more than $20,000 in eligible expenses on eligible R&D projects are entitled to apply for the R&D Tax Incentive. It is a two step process – an application needs to be firstly lodged with AusIndustry who look at the R&D aspects of the application and secondly aR&D Tax Schedule will be submitted with the company tax return to the ATO who will look at the financial aspects of the application. You have to be a company in order to apply. 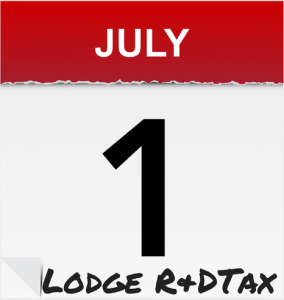 If you are operating as a sole trader, partnership or trust, and you are undertaking R&D you need to see your accountant before the 30th of June for advice. Every year I see clients who have potentially missed out on claiming the R&D Tax Incentive because they were incorrectly incorporated from an R&D perspective. If you are going to claim salaries as an R&D expense you need to make sure that payments have been made and that accurate records are available to substantiate time spent on R&D activities. You should keep good records of your R&D activities. These include records of why you were undertaking the R&D, what else was availble in the market place, the results of the tests that you undertook and your findings at the end of the project. If more than 50% of your R&D claim will be for expenses outside of Australia, you need to get an Advanced Finding from AusIndustry. This needs to be lodged before the end of the financial year. Make sure your Bas returns are up to date. There is a very strong possability that you will receive your cash refund/tax credit before you may be selected for an audit of either your R&D activities by AusIndustry or your R&D expenses by the ATO. Do not assume that the receipt of any R&D Tax benefit is the end of R&D Tax Incentive audit process!